oldiaf wrote: The F-22 will get HOBS AIM-9X and HMCS with software increment 3.1 and 3.2 ... Rafal and EF Typhoon will have no chance in dogfight ... Not mentioning these aircrafts will burns with BVR shoot earlier. The moment any missile will be launched ... DAS on F-35 will pinpoint the exact location of the launch ... Acoording to LM the F-22 will get defensive IRST as MAWS also. oldiaf wrote: The moment any missile will be launched ... DAS on F-35 will pinpoint the exact location of the launch ... Acoording to LM the F-22 will get defensive IRST as MAWS also. Its not far future .... Increment 3.2 2017 will get rudimentary AIM-9X with 220 launchers started to be fitted to F-22 , the AIM-9X will show AIM-9M mark on HUD ... In 2018 with increment 3.2b the AIM-9X will be fully integrated .... Regarding HMCS ... They successfully tested the Scorpion-HMCS in 2014 and its compatible with stealth and avionics .... Final software update Increment 5 will be in 2020. To be honest, the points he raises were already discussed in the article about the outcome of the dogfights between the U.S. Air Force F-22 Raptors and the German Air Force Eurofighter Typhoons during last year’s Red Flag – Alaska, when Americans said the F-22 performance was “overwhelming” while Germans said the costly stealth fighter was “salad” for the Eurofighter’s pilots lunch. well first, it was not an advertisement, it was an assessment BY THE BRITISH THEMSELVES not by Lockheed Martin. Learn to read next time. Second, Thrust Vectoring is useless according to a Typhoon Pilot who has never flown a Thrust Vectoring aircraft. Of course he will say that. he doesn't know how to use it. but ask an F/A-18 pilot the same question and he will say that high AOA is essential in a dogfight. Also according to the assessment BY THE BRITISH TYPHOON WEBSITE, the F-22 is superior to the Typhoon in almost all maneuvering metrics, with or without Thrust vectoring. blackuday wrote: Electronic technology of the F-22 is the 1990s. Original electronic technology of the F-22 is 1990s technology but it has been updated. But how on earth is 1960s to 1980s technology better than 1990s technology? Yes, R-73/74 has advantages against AIM-9M, but AIM-120C model is definitely superior to R-27 and R-77 current operational models. Otherwise F-22 electronics is much superior to electronics in those Russian aircraft. Whoa, so if it loses just one dogfight, it's no good? Those claims seem extremely optimistic since they'd be far superior to any thermal imaging system from China to date. That's not true. Su-35 IRST is claimed to be able to detect Su-30 from rear 90 km away maximum. 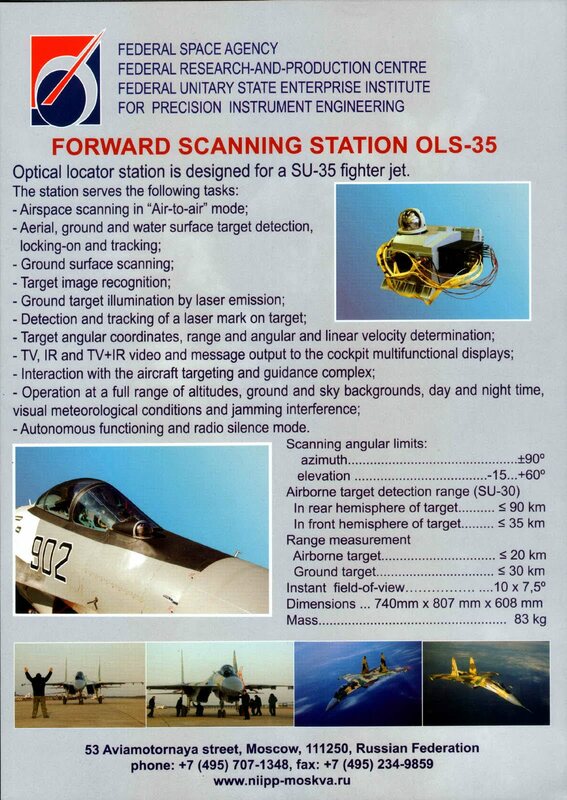 Su-30 frontal detection range is claimed to be up to 35 km. Su-30 has two powerful engines and has no IR reduction measures compared to F-35. I'd be surprised if F-35 detection range was even half of those figures. Besides those figures are max ranges in perfect conditions. do you actually have any proof of that ? like a graph or sth ? blackuday wrote: 4. F-22 in the duel with Typhoon, EA-18G, Rafale ....! F-22 are intended to fail. So there is that one time F-22was defeated by these fighter in WVR and you concluded that F-22 will fail everytime it see them ? really ? , why dont you add F-16 to the list as well ? Pakistani pilots flying modernised versions of the 1970s-vintage F-16 Falcon fighter have beaten the RAF's brand-new Eurofighter Typhoon superfighters during air combat exercises in Turkey, according to a Pakistani officer. On one occasion – in one of the international Anatolian Eagles - PAF pilots were pitted against RAF Typhoons, a formidable aircraft. There were three set-ups and in all three, we shot down the Typhoons. The RAF pilots were shocked. An F-16C pilot assigned to the 64th Aggressor Squadron gained the first-ever F-22 kill in Red Flag. [94th commander] Lt. Col. Dirk Smith told AFM: "At least half of the 94th FS crews had less than 50 hours in the F-22 and no matter how magical the F-22, any pilot can make a mistake. blackuday wrote: 5. 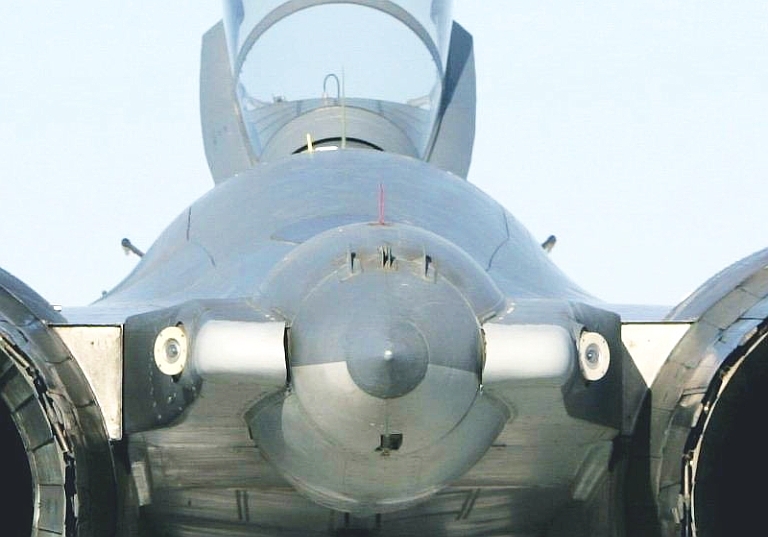 F-22 aircraft is the only 5th generation no HMDS system, Typhoon, Rafale even MiG-35 are equipped with this system. btw , how many Mig-35 actually flying today ? 1 or 2? blackuday wrote: 7. F-22 is struggling to upgrade avionics and weapons. Expected in the period 2017-2020, the F-22 can use the AIM-9X, AIM-120D and HMDS was put on equipment. blackuday wrote: 8. F-22 is a 5th generation aircraft first encounter many accidents. blackuday wrote: 9. F-22 does not have the ability to use anti-ship weapon. Last edited by eloise on 23 Sep 2015, 16:22, edited 1 time in total. To be honest chinese press are quite infamous with their nonsense claim so i advice you to take any piece of information from them with grain of salt , especially with something they claimed "may be able "
Ok, it’s not stealth (even if some sources say it can detect stealth planes like the F-35 at a distance of over 90 kilometers), but once engaged in a WVR (Within Visual Range) air-to-air engagement, it can freely maneuver to point the nose and weapons in any direction, to achieve the proper position for a kill. On the F-35 several special materials are used, including Radar Absorbing Materials (RAM), Radar Absorbing Structure and Infrared (IR) Topcoat. Unlike the F-117, which was totally coated with 2,000 pounds of RAM, these materials are more selectively used on the F-35. Lockheed Martin developed paint-type RAM which is applied around the edges of doors and control surfaces. RAS is used on the body, wing and tail edges. For the application of this paint robots will be used, like the CASPER (Computer Aided Spray Paint Expelling Robot) system used for F-22 and the Have Glass II program used for painting 1,700 F-16s with RAM. Robots are essential because they can reach confined areas, as the inlet ducts, and can work without stepping on the aircraft. These materials comprise ferromagnetic particles, embedded in a high-dielectric-constant polymer base. The dielectric material slows down the wave and the ferromagnetic particles absorb the energy. These coatings are also designed in a way that the small reflection from the front face of the absorber is cancelled by a residual reflection from the structure beneath it. This is not an easy procedure, and it makes RAM design much more tricky than most people believe. During tests from idle to maximum afterburner, measurements were taken of infrared images, nozzle temperatures, and nacelle inlet pressures and airflow velocities. The nozzle also has been successfully tested on the Pratt & Whitney JTDE FX650 (Joint Technology Demonstrator Engine) for the JSF program. blackuday wrote: AIM-120D performance 100% is sure ?!. I do not think so, AIM-120A / B was less effective with the MiG-21/25/29 of the Yugoslavia and Iraq, they lack ECM pod, RWR, FCR is poor.